Emergency dentists in West Palm Beach are prepared to help you, and perform the dental procedures you need quickly. If you are experiencing pain, it is important that you do not allow it to control you and you take control of it. 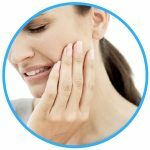 Before you simply accept that pain will be part of your life from here on out, take a moment to look at the list of emergency dentists in West Palm Beach below. You will be able to quickly identify their location and hours of operation. Emergency Dentists USA was so great to me; their staff was able to find a dentist right by my home that could see me that day. I have recommended them to all of my friends and family! One of the available options in West Palm Beach is an after-hours dental clinic. These offices are generally open until about 7:00 pm and they provide you with the dental care you need outside of the standard 9:00 to 5:00 window. Often, these offices are also open on the weekend for your convenience. Another option is a walk in clinic, that allows you to just walk in without an appointment. The final option is a 24 hour clinic, however, there are no 24 hour clinics available in West Palm Beach. Fortunately though, Dr. Rhonda Nasser is open Saturdays and Sundays in order to better serve her patients. Emergency Dentists USA is your premier source for finding an emergency dentist in West Palm Beach when you need one. Below, you will find a list of West Palm Beach emergency dentists that you can visit. You will find a variety of options and all you need to do is take a moment to call one of them and schedule an appointment for immediate care. Description Our easy to use hotline and referral portal lets you be in the driver’s seat of who you pick, and how fast you get the service on your injured or infected teeth that you need! Description: Dr. Rhonda is an excellent local solution for any dental problem that may be ailing you in Palm Beach. They also have one very rare quality within the dental realm: They are open on Saturday and Sunday! Don’t let the pain you are experiencing fully take hold of you, and visit Dr. Rhonda and her experienced staff today. Description: Specializing in tooth care and pain management, along with an array of dentistry services, this facility is capable of providing emergency dental care in West Palm Beach, FL area. Besides being an excellent location to manage your care, you may also wish to visit their website as they have an impressive library of dental articles. Description: If a truly terrible dental emergency has taken hold of you, you will absolutely be looking forward to getting into a clinic that can deal with you rapidly, diagnose exactly what the problem is, and make sure that you will receive the correct treatment. This clinic knows there is nothing worse to a patient than dealing with a high level of pain, and not knowing exactly when they can be seen due to doctor’s schedules and the high level of traffic within a practice. Description: Open on Saturdays from 9AM until noon and having one of the best local track records in Lake Park, this is a standout clinic to put in your appointment book. You can bet that the staff here will be attentive and ready to see to your needs immediately, as well as being able to help anyone who experiences severe dental anxiety. There are many sedation options available for those that do, and the staff here guarantees that your visit will be satisfactory. Visiting an emergency dentist in West Palm Beach is really no different than visiting your general dentist. You will need to make an appointment with the office unless the information about the dentist says that they accept walk-ins. When you call to make your appointment, you should inquire about the cost of service and payment methods accepted. If you have never been to this dentist before, you will need to fill out paperwork so you should arrive at least 10 minutes prior to the scheduled appointment time. The paperwork will ask you for basic information about your health and medical history, which will help the dentist to be able to treat you properly. If you are allergic to any medications, you should inform the staff right away, so they can properly prepare for your appointment and procedure. If you have a toothache or you have severe mouth pain, you may be suffering from a serious dental emergency. If you do not have these conditions handled in a timely manner, they can become much worse and spread to other areas of your body. Emergency dentists in West Palm Beach are available and can help you in these situations. Emergency toothaches can arise at any time and are often caused from food getting stuck in your tooth or dental decay. It is important that you do not try to mess with a tooth that is aching as you may cause yourself more pain. If you think that you have something stuck in your tooth, you should attempt to floss it. You can rinse your mouth out with warm water and take an over-the-counter pain reliever if your tooth is bothering you. 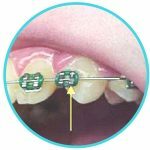 If you have broken braces wires, they can potentially injure your gums or cheeks. The ends can be pointy and may cause you some discomfort. It is important that you do not cut the wire, as the piece you cut may fall into the back of your throat and become a choking hazard. You should attempt to move the wire away from your gums or cheek with the eraser part of a pencil. If this does not work, you should place a piece of dental wax on top of the wire until you can get in to see an emergency dentist in the West Palm Beach area. Tooth trauma, such as a knocked-out tooth or a broken tooth, can be caused by any type of accident such as an automobile crash, sports-related injury, or a fall. If you do have a broken or knocked-out tooth, it is important that you recover the tooth or any pieces of it. In both situations, you should rinse your mouth out with warm water. If the tooth is knocked out, try to place it back into the socket, but if you cannot, place it in a cup of milk. If the tooth is broken, use a piece of gauze to apply pressure to the site, if it is bleeding. When you visit an emergency dentist in West Palm Beach, you may be told that you need to have an emergency extraction. While your emergency dentist will try to save your tooth, there are instances where the tooth may not respond to additional treatments or extraction is the only option. If you have to have an extraction performed, the recovery time is only about a day or two, and some patients do not have any downtime. Your emergency dentist will provide you with aftercare instructions and it is important to follow them and take any prescribed medications on time. If you have a dental emergency or think that you may have one, you may be scared and head to your local emergency room. While the ER seems like the right place, it is not the best place for someone suffering a dental emergency only. The ER is designed to treat medical emergencies and they do not have the capability to perform dental procedures. If you do go to the ER, the doctors on staff will look over your mouth to ensure the problem is not serious. In some cases, they may prescribe you medication until you can see your dentist. There are times when you should go to the ER and those times include when you have fallen, suffered head trauma, or been involved in an accident. You would be better served by visiting a West Palm Beach emergency dentist. Emergency dentists have the tools and equipment needed to provide you with the procedure you need to eliminate the pain you are experiencing. The Emergency Dentists USA portal was designed to provide you with information only and this information should not be used to replace advice from a medical professional. If you are unable to get ahold of or locate a West Palm Beach emergency dentist, you should call 911 or head to your local emergency room. 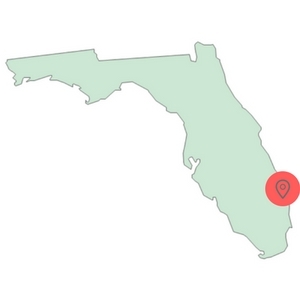 We do recommend that you take some time and contact your local Florida dental society to verify all credentials and licenses of any new dentist you plan to visit. You can also verify licenses at the Florida Department of Health License Verification search and the Florida Board of Dentistry.